Ellie, Abbie and Georgie Dashwood are three sisters who couldn’t be more different from each other. Ellie is the responsible goody-goody, Abbie is the boy-crazy drama queen and Georgie is the adventurous adrenaline junkie. A year ago, everything changed for the girls when their parents divorced and their dad married a younger woman named Pandora. The girls and their mother kept the house in Brighton, while their dad lives in London with his new wife. Pandora is self-involved and a nightmare of a stepmother, and the girls notice that their father seems more stressed than usual now that he’s with her. When the unthinkable happens and their father dies, the girls find themselves fatherless as well as homeless. The girls and their mother move to a small cottage in Norfolk, and try to adapt to their new lives while mourning their father. As the girls try to make the best of their situation, their romantic exploits help them learn the many secrets of love. I first read this book in high school, and I found it again while doing shelving at my library and decided to re-read it. The Dashwood Sisters’ Secrets of Love is a modern take on Sense and Sensibility by Jane Austen. While there are a lot of modern versions of Pride and Prejudice, a retelling of Sense and Sensibility is rather rare, so I thought this would be a good choice for Jane Austen related reviews on my blog. The Dashwood Sisters follows Jane Austen’s version, with Ellie as Elinor, Abbie as Marianne and Georgie as Margaret. This book spends more time than the original building up to the main plot, and I liked that the time was taken to establish the characters before everything changed for them. One of the other big differences between this book and Sense and Sensibility is that the youngest Dashwood sister is a main character as well. The characters were slightly stereotypical and naturally didn’t live up to the originals. I did like them overall, although they felt a bit superficial. Some of the dialogue between the sisters was very witty and humorous. Partly due to the fact that the plot was based on a Jane Austen novel, it was well paced and interesting. As an adaptation, it was moderately good. It’s a retelling of Sense and Sensibility in a similar way that Clueless is to Emma. If you read The Dashwood Sisters looking for a great adaptation of Sense and Sensibility, then you probably won’t end up liking it. However, it is a fun and entertaining book about love, and I enjoyed it because I started reading it without any expectations. While I can see fans of Sense and Sensibility being disappointed with this book, I think it could be a good introduction to Jane Austen for teenagers. It’s light and quick chick-lit, and it could make readers curious enough about the original to read it. 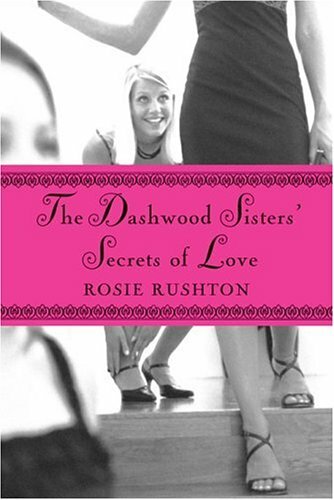 Overall, The Dashwood Sisters’ Secrets of Love is a cute new take on an old favourite.